I am trying to clean up my ranks. Let me know who you think needs to go. Starting with assault who needs to go? 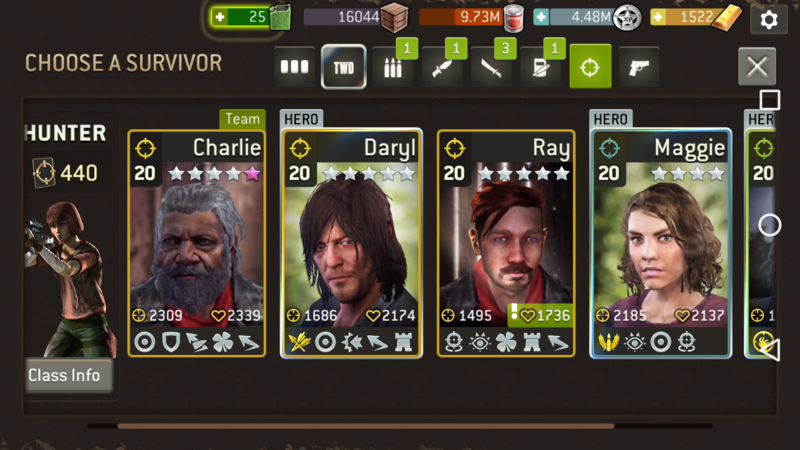 Then with hunter do you think i should keep Ray? I think charlie is better. 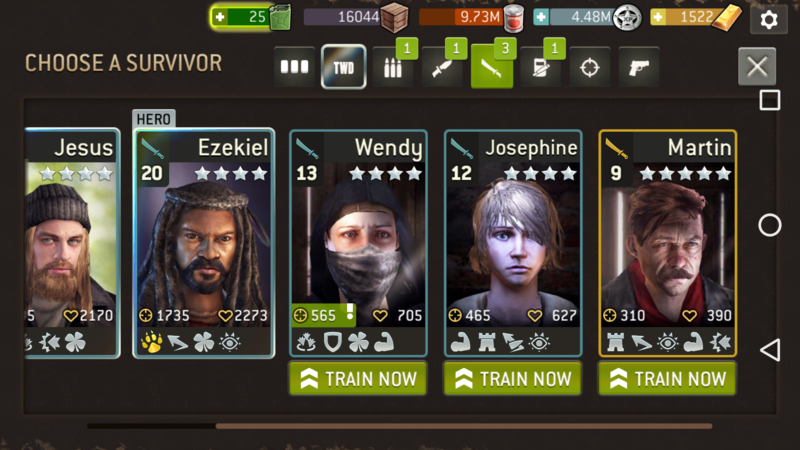 Who should i keep of warrior? Or do you think i should scrap them all? Below is a link to all of the pics. 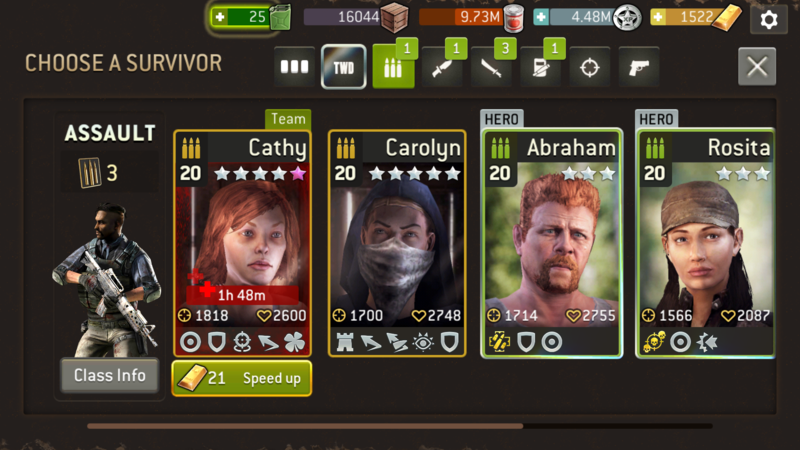 How much do you have, do u you think you can get better survivors from radio calls?? Charlie is bullet proof with doge. Good combination for outpost. Ok Took the advise for everything im just not sure about keeping any of the warriors they all seem like junk to me. What do you think? I would keep everyone as long as there's place and as long as replacement is not there yet. Warrior must have retaliate in my opinion. So only Martin would have my favour. Though again, I would only retire the others after I have better ones to replace them. After all. You can use them still as cannon fodder in the distance. Cathy is awesome and Vanessa is still pretty good. Scrap Carolyn. Charlie is definitely better than Ray. 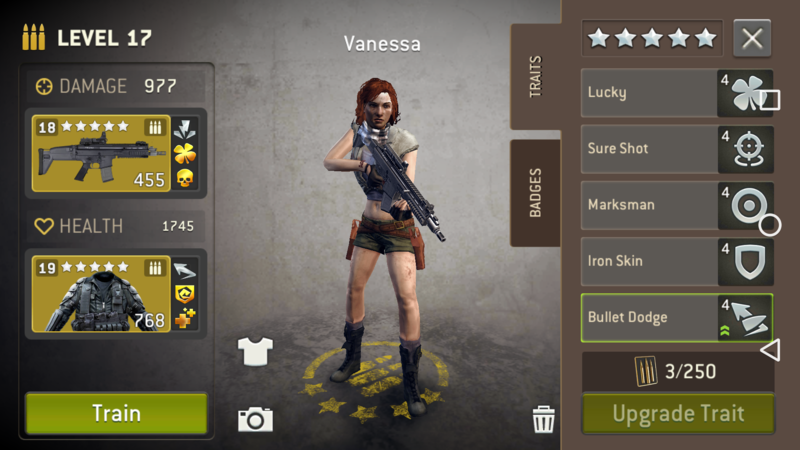 Wendy will be awesome if you can unlock Retaliate as the 5th trait. I'd invest in her. Scrap Josephine but hang on to Martin for now and wait and see how Wendy's promotion goes. Sharon is really good and John has potential. 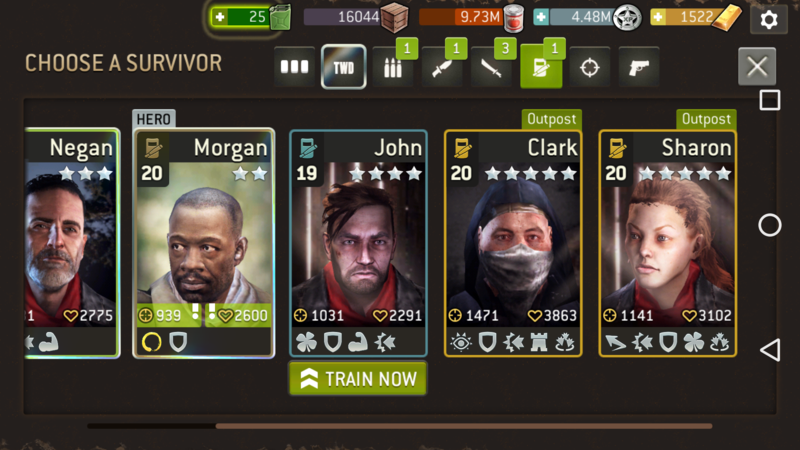 John could use Dodge or Punish as 5th trait. Scrap Clark for sure. Am i the only one who thinks Clark would be good as Bruiser tank?